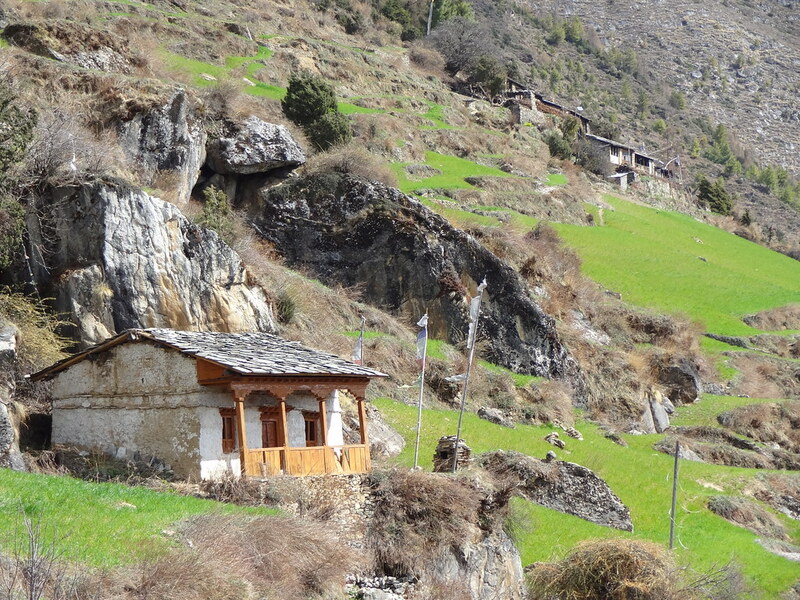 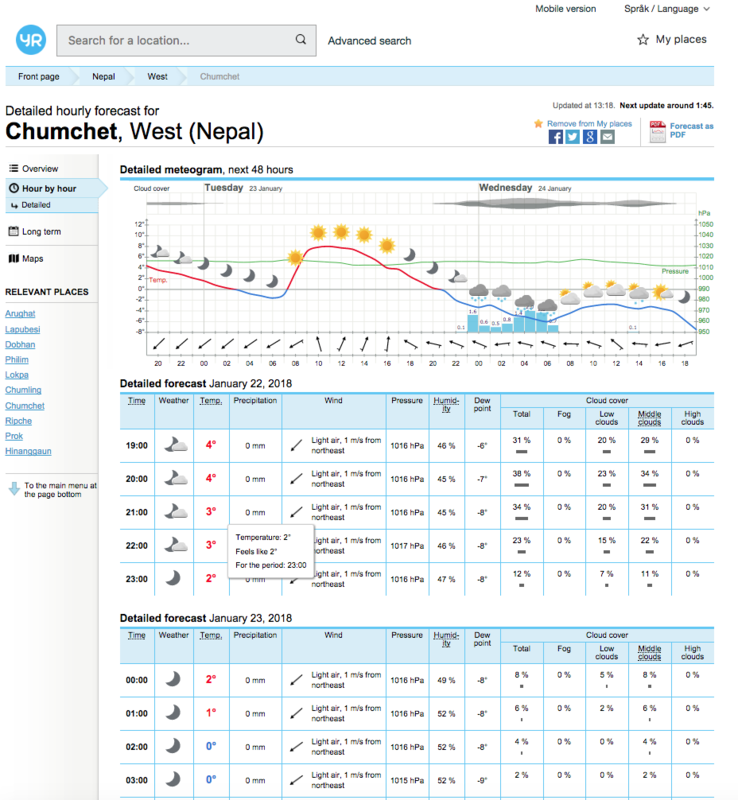 Having umm-ed and ahh-ed over adding this into my Manaslu & Tsum: Update blogpost, I decided that Yr’s Wonderful Weather Forecasts merit a blogpost all of their own. 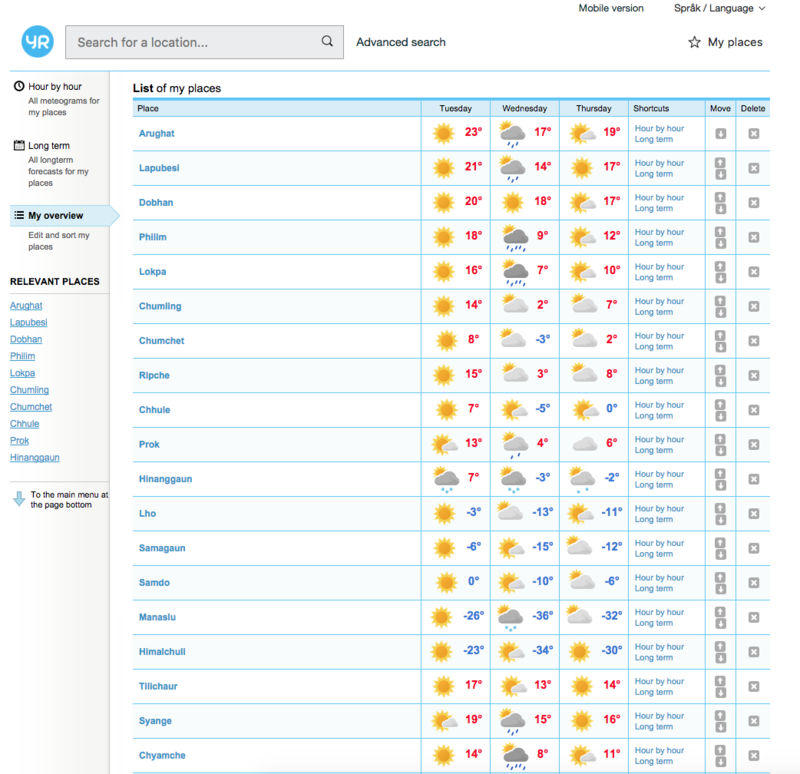 Yr – Yr.no – has been my go to website for trek and trip weather for a while now. 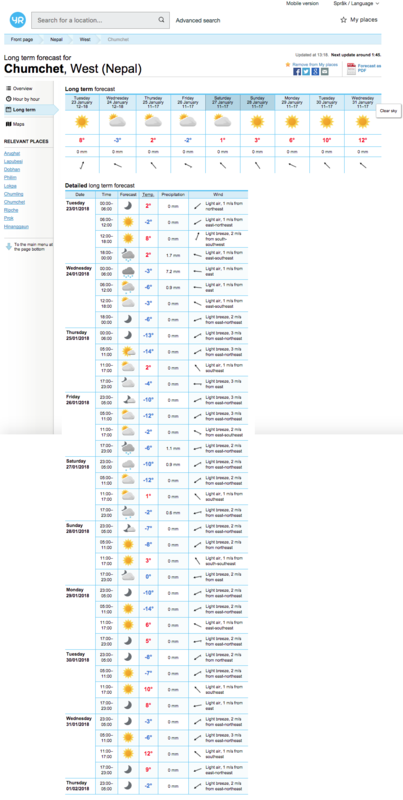 It describes itself as “a joint service by the Norwegian Meteorological Institute and the Norwegian Broadcasting Corporation”. 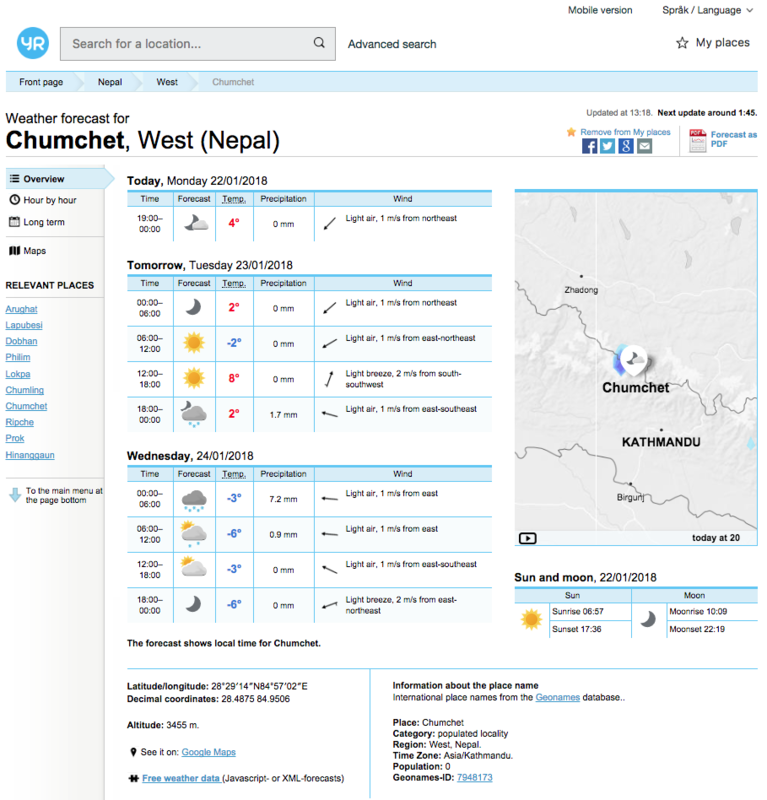 It’s not just the geographical coverage that impresses, the graphics, features and functionality do too. 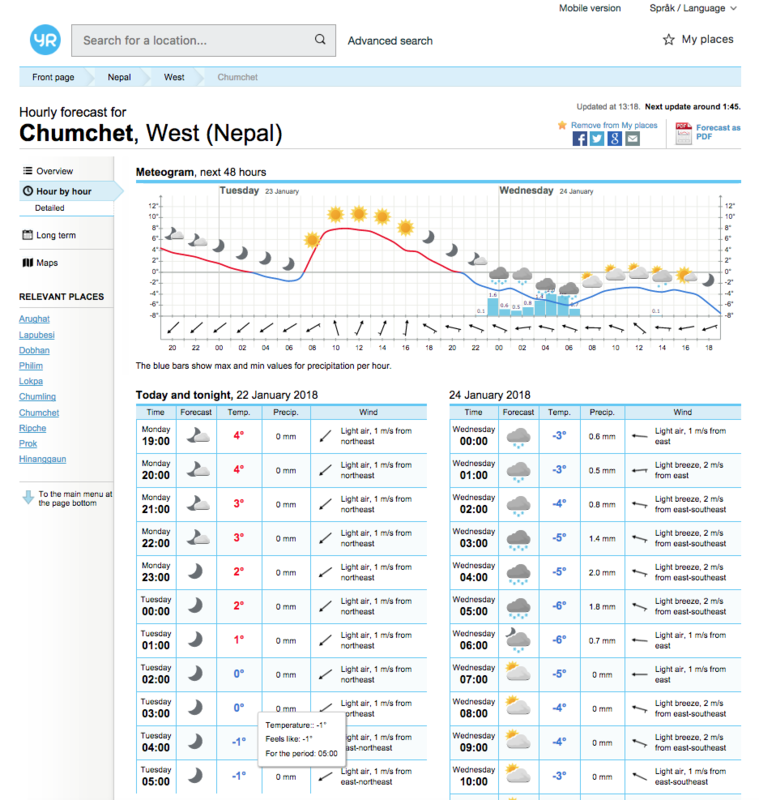 Just to underline how amazing this all is, that screenshot is the Overview weather forecast for Chumchet, West (Nepal), which I visited during my Tsum Valley Trek in April 2015.